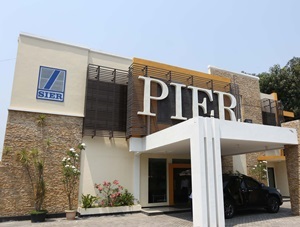 PT Surabaya Industrial Estate Rungkut (Persero) - PT SIER is a reputable state-owned company in Indonesia that is involved commercial and industrial building operation. PT Surabaya Industrial Estate Rungkut (Persero) is 50% owned by the Government of Indonesia, 25% by East Java Provincial Government and 25% by Surabaya City Government. The Company is based in Surabaya East Java and its head office is registered at Jl Rungkut Industri Raya 10, Surabaya 60401. The Company was founded on 28 February 1974 on a land of about 330 hectares. According to the Company's profile as cited by JobsCDC.com, PT SIER now manages 3 industrial estates in Surabaya, Sidoarjo and Pasuruan. Its industrial estates comprise of Surabaya Industrial Estate Rungkut on an area of 245 Hectares, Sidoarjo Industrial Estate Berbek on an area of 87 Hectares and Pasuruan Industrial Estate Rembang on an area of 563 Hectares. JobsCDC.com now available on android device. Download now on Google Play here. Please be aware of recruitment fraud. The entire stage of this selection process is free of charge. PT Surabaya Industrial Estate Rungkut (Persero) - Management Trainee Program SIER October 2017 will never ask for fees or upfront payments for any purposes during the recruitment process such as transportation and accommodation.